Officially, Nintendo hasn’t “opened the floodgates” yet regarding indie developers on Nintendo Switch, and yet, there almost isn’t a single day without a new game announced, teased, or hinted at. 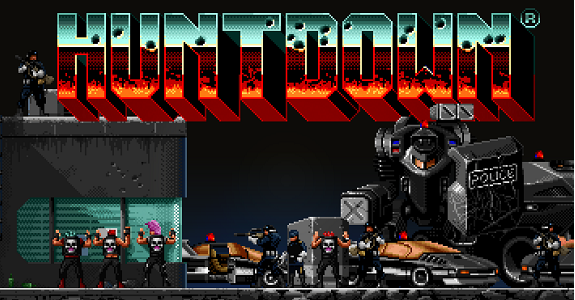 The latest announcement comes from Easy Trigger Games, the developers of Huntdown: a “hard-boiled co-op arcade shooter” that is now coming to the Nintendo Switch. 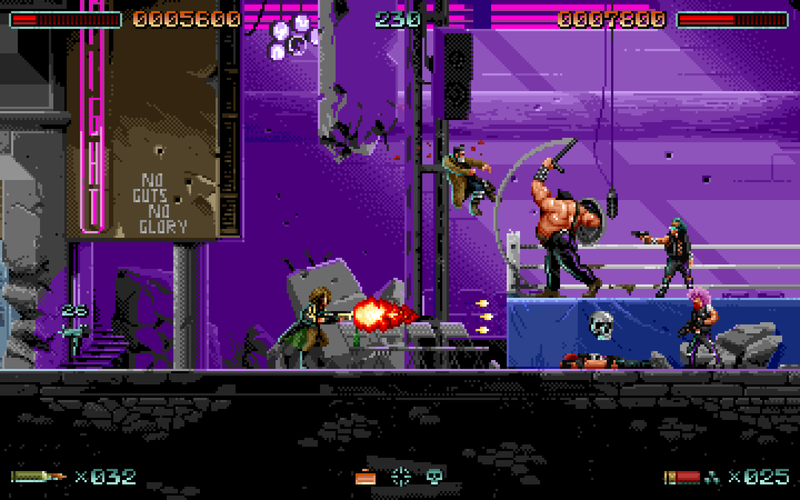 The game features pixel art drawn by hand, pixel by pixel, which was made to look like the 16-bit games from the old days. 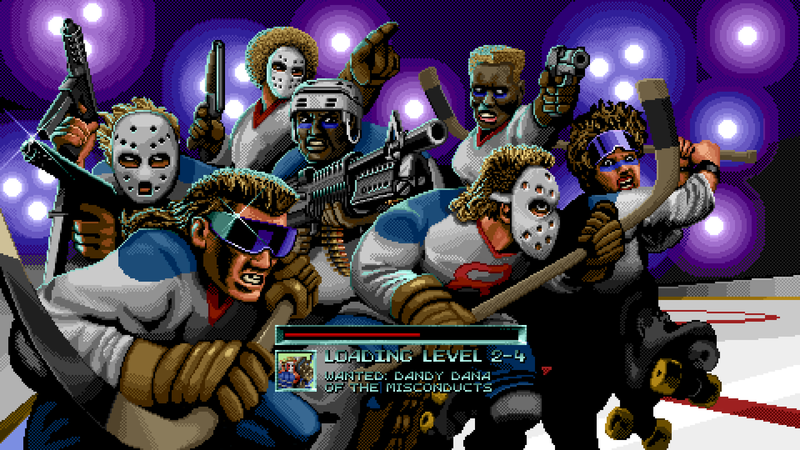 But of course, everything runs at a smooth 60FPS, for some pretty fluid action-packed gameplay. 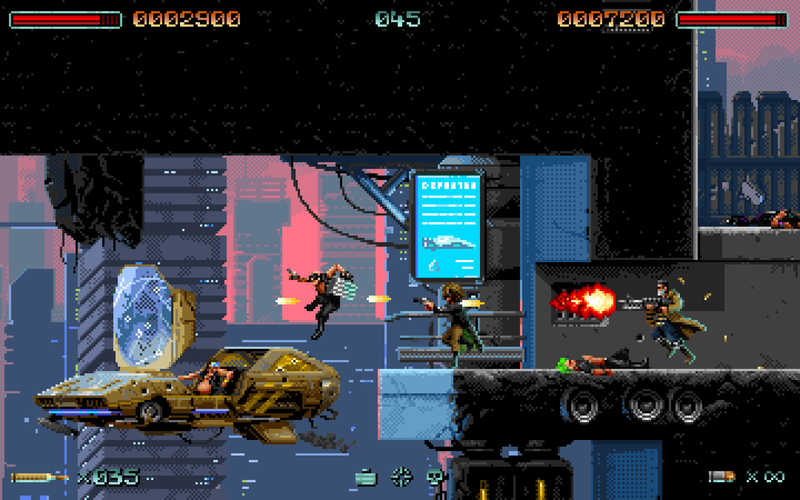 Run, jump and take cover in mayhem streets of the future. 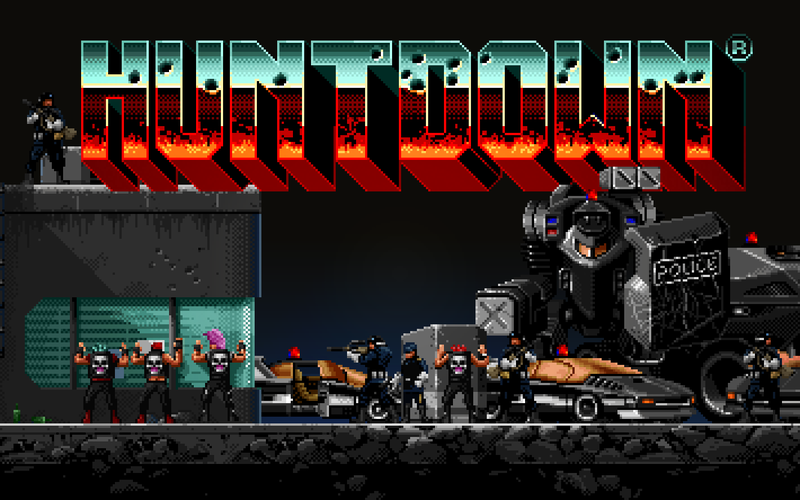 Kill the henchmen, take their guns and Huntdown the leaders! 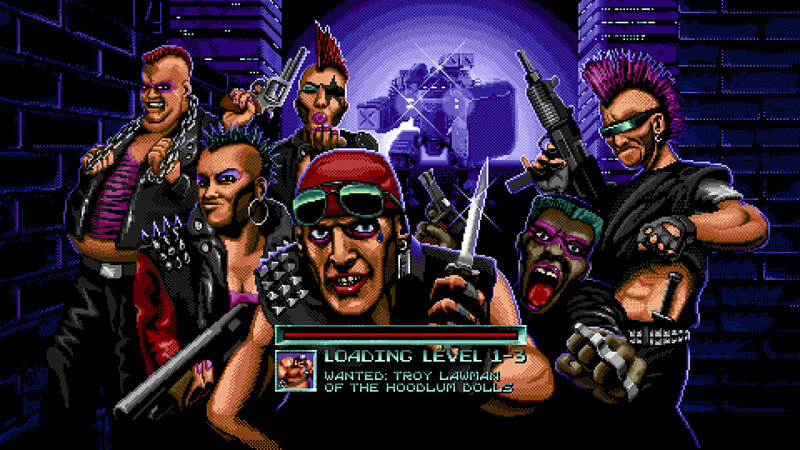 Collect the bounty, level by level. 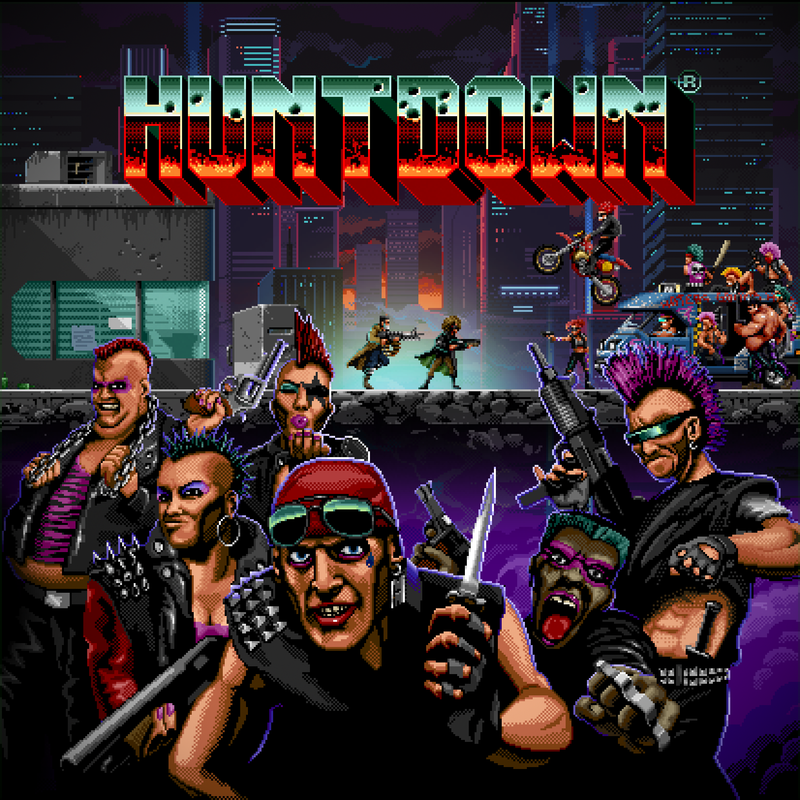 In this game, your mission is pretty straightforward: roam the streets of Mayhem, a city that has been completely taken over by gangs, and get rid of said gangs while collecting some sweet bounty along the way. Naturally, there’s also some boss battles to tackle! 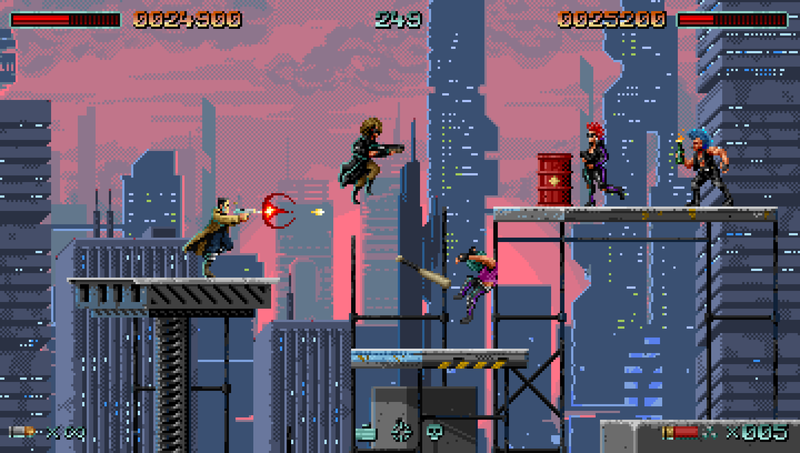 The game can be played in Single Player, but also in co-op, with two players cleansing the streets of Mayhem together. On Nintendo Switch, both players will be able to play on the same screen (TV or in Tabletop Mode), which is actually the reason why the developers thought it was a “natural choice” to bring the game to the console in the first place. 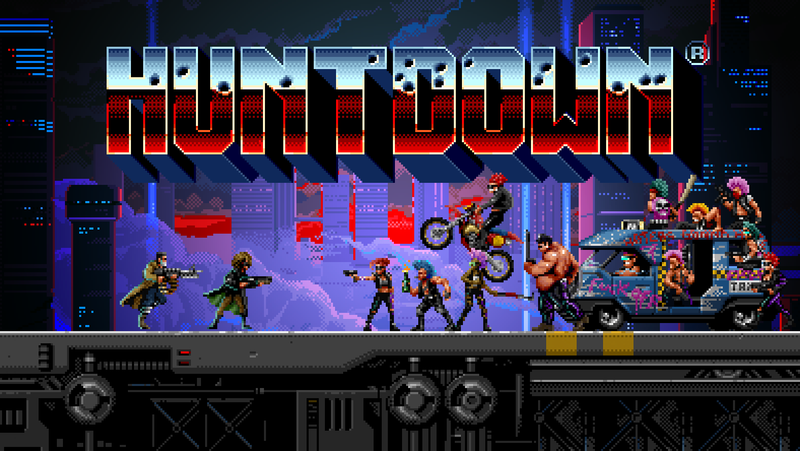 Huntdown (Switch – eShop) will be released later this year in Europe and North America. The Upcoming Releases page has been updated!